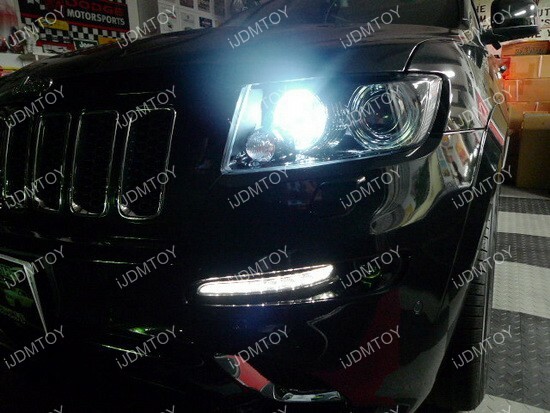 Here at iJDMTOY, we have done tons of research and specially designed this class of products: high beam LED DRL kit with special wirings and decoders included to ensure the LED bulbs can function properly as fully powered daytime running lights, with no flicker and no error message on the dashboard. For all our R4 setups, we have supplied you with a free LED tester. Please use this tester to find out the stock socket's positive and negative before plugging in the R4 decoder box. This R4 decoder box is polar sensitive and if you plug it in wrong, you could potentially damage it. Because of this, you must test and find out the polarity first. 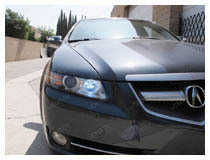 The evolution of daytime running lights as an industry standard has come pretty far ever since it was first introduced on United States vehicles sometime in the 1990s. 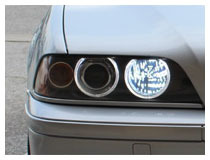 The first daytime running lights used incandescent bulbs, which by today’s standards, are pretty lacking. Fortunately, technology always progress forward and now we have some of the best LED daytime running lights available for upgrades. 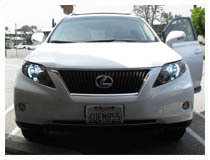 Daytime running light technology has come a long way since its days of the halogen bulb, with LED daytime running lights becoming a factory design for new and luxury car models like Audi, BMW, Mercedes, and Lexus. 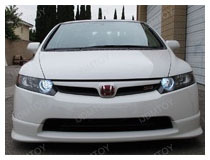 We have one of the largest collections of LED daytime running lights for variety of vehicle years, makes, and models, giving you plenty of options on which LED running light you want to install on your vehicle. At iJDMTOY, we make it our goal to assist you in outfitting your car with the best and brightest LED technology available. 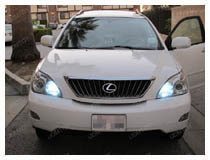 Our team of LED lighting specialists are more than happy to walk you through the process of finding the best LED lights available for your car. Contact one of our LED lighting specialists to get a personal consultation on the appropriate lighting upgrades for your car!